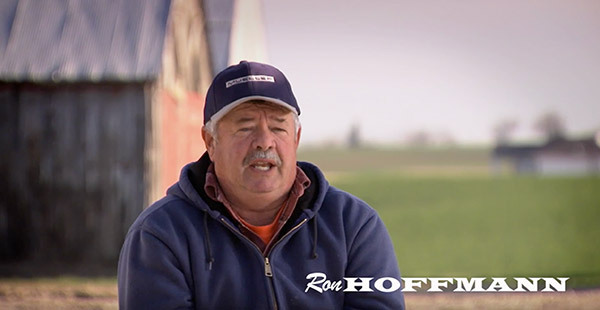 Ron Hoffman is the owner of Hoffman Dairy Farm—a century owned, family dairy farm in Dubuque, Iowa. With its booming business, the Hoffman Dairy Farm was milking 197 cows. This equated to nearly seven hours a day of milking for Ron and his sons. All his life, Ron milked in a flat stanchion barn as his father and grandfather before him did. The long hours spent kneeling and bending over took a heavy toll on Ron. He decided that he didn’t want this for his sons, and started looking for a solution. With robotic milking growing in popularity in the dairy farm industry, Ron and his wife knew this was the direction to go. Having used various types of Paul Mueller Company equipment for several years, it was no question for Ron and his wife to partner with them in this huge transition. 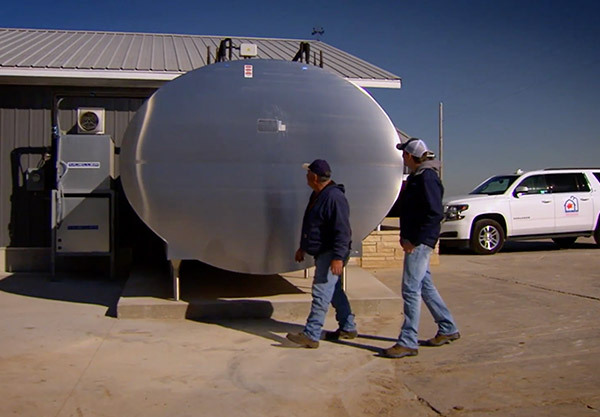 After the Hoffman Dairy Farm purchased a large Paul Mueller Company bulk tank to go with their new robotic system, the Paul Mueller team asked the Hoffman family to consider being the first adopter of the Robotic Interface Control (RIC)—an interface that allows robots and bulk tanks to talk to each other. 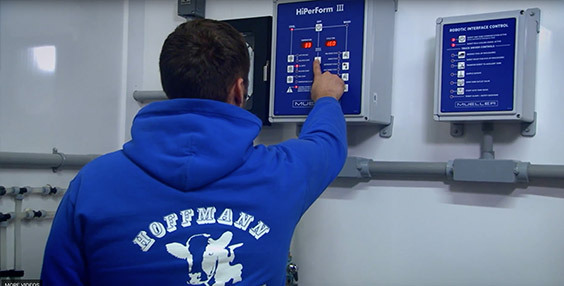 The Hoffmans agreed, and Paul Mueller Company was able to provide Hoffman Dairy Farm a new system that controls all the valves and the bulk tank with just the push of a couple buttons. Hoffman Dairy Farm now has a much more efficient process for collecting and storing milk. With the help of Paul Mueller Company equipment, the physical demands on Ron and his family have been greatly reduced and they are able to easily keep the steady supply of milk cool. Ron and his wife can now pass down their legacy, along with a much better lifestyle, to their sons one day. Contact a Paul Mueller Company representative today to learn more about how we can help transition your dairy farm to robotic milking.